Rianne and Shandy plunged deep into a slice of heaven for their Hawaiian wedding celebration. Since we were spending several days with them we were easily able to become “one” with everything and everyone. 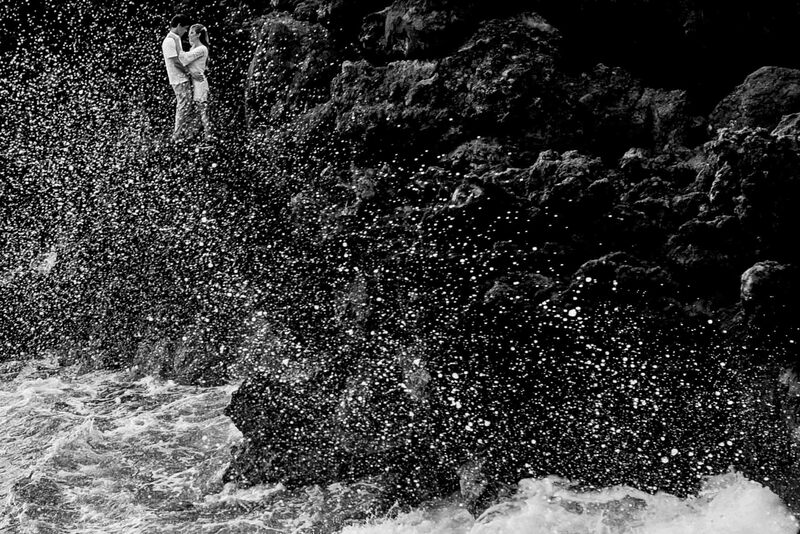 From a fun underwater shoot at 2 step beach, walking along thick sand beaches, to an intimate hike along jet black lava cliffs near Kona Village. The light of Hawaiian sunsets invite the most dreamy feelings. Salty air, silky sand, ocean sounds, gardenia fragrances wafting everywhere. What better way to set the mood for your wedding? Checkout their wedding here.